When you're looking for a maid service in Normal, IL you can count on Merry Maids of Normal for thorough and meticulous workmanship. 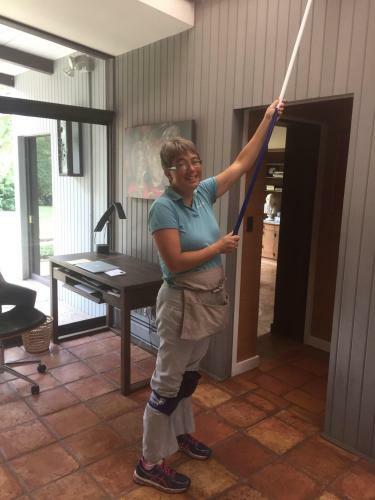 We can schedule routine cleaning on a weekly, biweekly, or monthly basis, and you may appreciate dealing with professionals who are bonded and insured. We know clean, so let us provide you with an in-home analysis to determine your needs. While you're enjoying your leisure time, our trustworthy team will sweep your floors, disinfect your bathroom, and tidy up around your living space. Merry Maids has received numerous accolades, such as a Women's Choice Award from WomenCertified and accreditation from the Better Business Bureau. We'll take respectful care of your home while you focus on your career and personal relationships. If you have better things to do than mop and sweep, you can count on Merry Maids of Normal to be your maid service. Contact our office in Normal, IL to find a convenient time for your estimate, which we'll provide at no charge. Call us for quality maid service in Normal / Bloomington area.